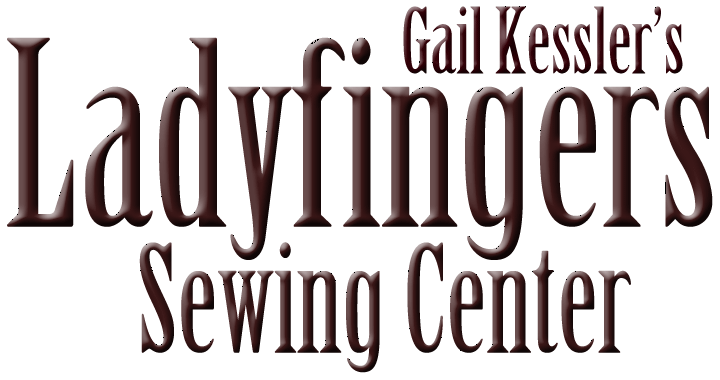 Ladyfingers is a BERNINA Excellence Dealer, owned by Gail Kessler, who is also the creator of 140+ Colors of Dimples for Andover Fabrics and a Craftsy Instructor with over 500,000 students. 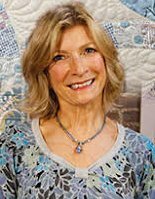 Gail's collections are featured at Ladyfingers, along with fabrics from other fine companies including Hoffman, Robert Kauffman, Michael Miller, P & B, Timeless Treasures, and many more. Ladyfingers is known for stocking fabrics that you may not find elsewhere (over 4000 bolts of fabric! ), making us THE destination store when you are looking for something special. Our helpful, courteous staff is always ready to help with your projects, and special orders are welcome! We now offer an on-line store to compliment our phone-mail order service, and we will ship just about anything we can get in a box! Ladyfingers Sewing Studio is centrally located in the beautiful, Historic Oley Valley between Pottstown and Reading, PA. Our store is in the former Griesemersville Hotel. 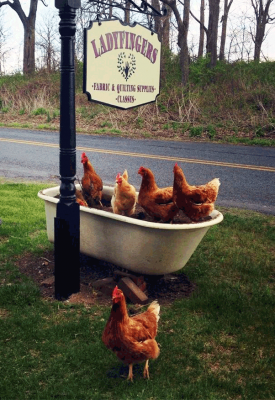 Built in 1860, this stagecoach stop served travelers on their way from Reading to Philadelphia with over 40 rooms, a saloon, post office, and general store. We restored this landmark in 1995 and now serve quilters and sewers world-wide with over 5000 bolts of designer fabrics and a fantastic array of threads, notions, books and patterns. We regularly display scores of finished quilts for your inspiration and offer classes in our spacious, well-lit classroom. We are closed Sunday & Monday - giving you what you always wanted - more time to sew!